Best Potato Latkes - Kosher In The Kitch! Best Potato Latkes - Kosher In The Kitch! 4 cups shredded potatoes (1 lb) Frozen hash browns work great! Defrost first. Combine ingredients together in a large bowl. Using a tablespoon measuring spoon for bite sized latkes and an ice cream scooper for larger latkes, cook batter in batches. Frying until both sides are golden brown. Careful to heat the pan up until very hot before adding batter to it. The oil should sizzle! Be careful not to flip the latkes over until the edges are slightly browned. 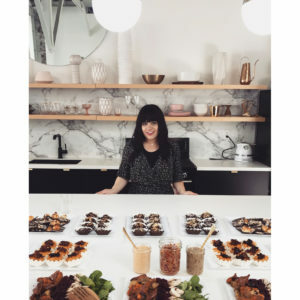 Enjoy with apple sauce, sour cream or some of these crazy fun latke creations I created for Hanukkah over here! When you say to use frozen hash brown potatoes do you defrost them? There are refrigerated packages also that might be good to use. I defrost the hash browns. 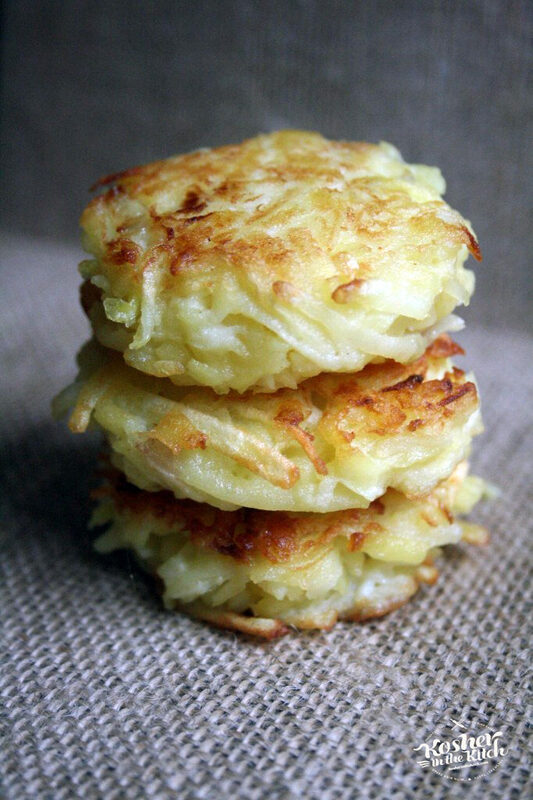 I have also used the refrigerated packages of hash browns and they come out great!